Janelle Monae marches to the beat of her own style drum and I am here for it. Last night(December 6th) she attended the Refinery29 29Rooms Los Angeles: Turn It Into Art Opening Night Party at ROW DTLA in LA. 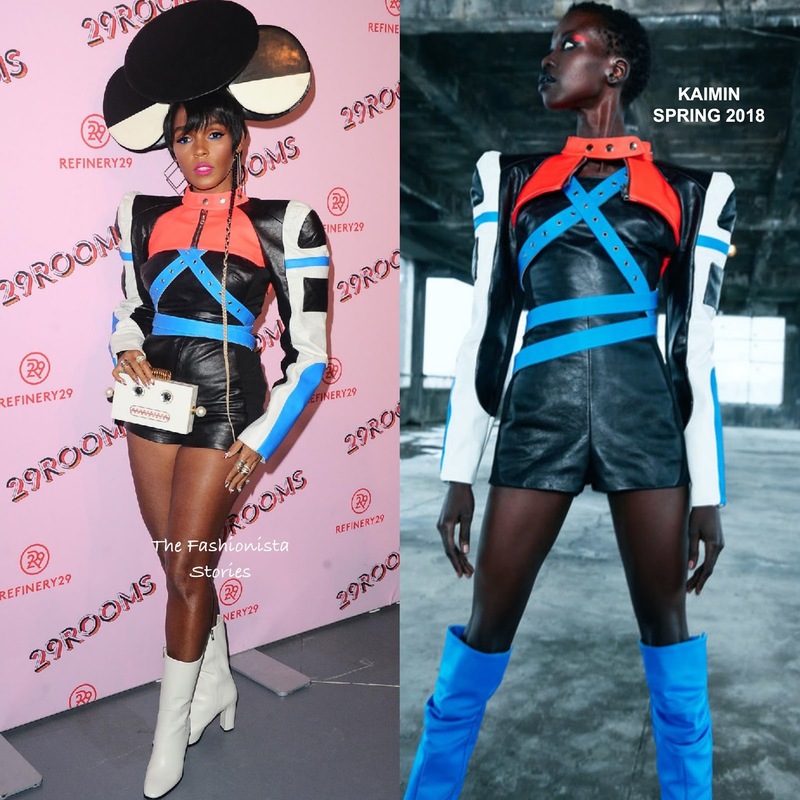 Working a unique look, she wore a KAIMIN SPRING 2018 long sleeve color-block leather romper. Her romper was accessorized with playful accessories which included the DEAD LOTUS COUTURE 'Onna' hat, a CHARLOTTE OLYMPIA clutch and white VIA SPIGA boots. Her look hits the costume borders because of the hat but I have to say that I love it. It's edgy and playful but she sells it. Are you feeling the styling of Janelle's look as well?